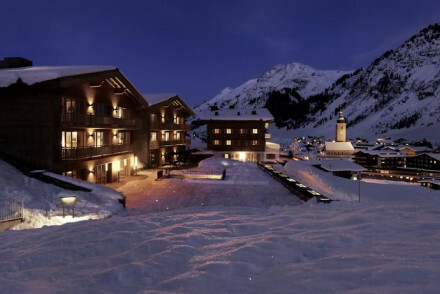 In a grand Arlberg mountain setting, rests the charming alpine hamlet of Lech. Until the end of the 19th Century Lech spent the winters cut off from the outside world, and the traditional village look remains - indeed most of the best places to stay in Lech are very alpine traditional on the outside, though some have had fairly modern makeovers inside. Pretty and popular, Lech is the kind of place you're likely to see Bentleys with snow chains. Lech's traditional look is complemented by the old chalet style of many of the hotels - and the fact that the streets do get quite snowy. The sunny position is another draw, and from the top of the slopes there are some breathtaking views. So this is a great place to come for photography enthusiasts and snow sport enthusiasts alike. Enjoy world-class skiing. In addition to good ski schools and plenty of sunshine, the snow record is excellent, one of the best in Austria. Between them, Lech, and its twin resort Zurs, have something to suit every kind of skier. Zurs has the nursery slopes, but Lech has a good assortment of gentler pistes, plus there's plenty of runs to challenge intermediate skiers and off-piste options for the more adventurous. 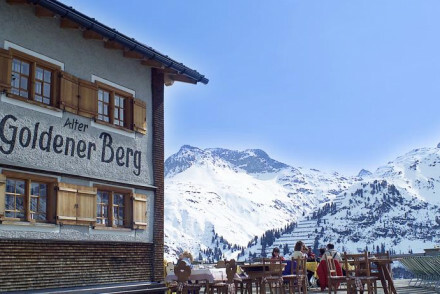 End a fantastic day's skiing at the Tannberger Hof Apres Ski bar with excellent food and drink making it a must-do for the full Lech experience. Located near to the ski lifts, the music here will help you forget those tired legs and have you up and dancing in no time. Ride the Ruefikopf gondola to the summit for the most spectacular panoramic views of the alpine landscape. Experience other sporting pursuits at the Sport Park Lech with opportunities for 10-pin bowling and a climbing wall, alongside various ballsports - all promising to keep you entertained during your time off the slopes. 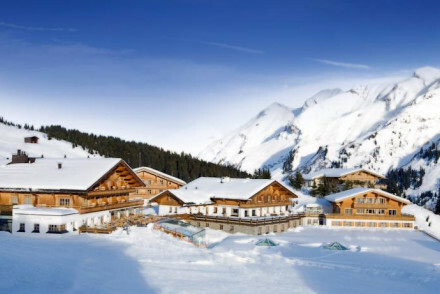 Whilst being a world-renowned ski resort, Lech offers activities for all outdoor enthusiasts year round so expect the best places to stay in Lech to be in hot demand. 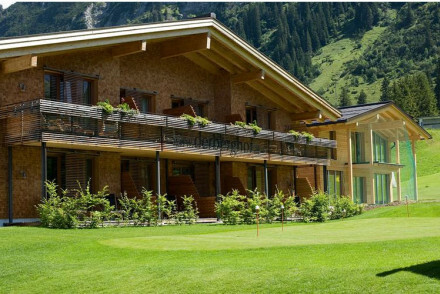 For a wonderful, traditional alpine experience, you can't go past the Hotel Arlberg. It's a five star luxury chalet right in the centre of town, and one of the best hotels in Lech if you're looking for a ski-in ski-out location with fur throws, wood paneling, open fires and antlers. If you're picky about your tipple it will also tick all the boxes - they have a wine list with around a thousand choices. 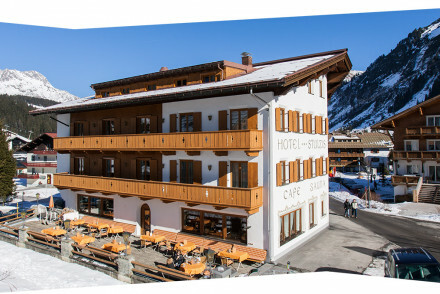 The Hotel Monzabon is a good option if any of your party is learning to ski: it's right in the centre of town, beside the ski school, cable car and ski lifts. This is a traditional mountain hotel, so there's plenty of bare wood and roaring fires. There are family sized apartments, which have a self catering option, but if you get hungry on the slopes opt for their half board, which includes five course dinners. 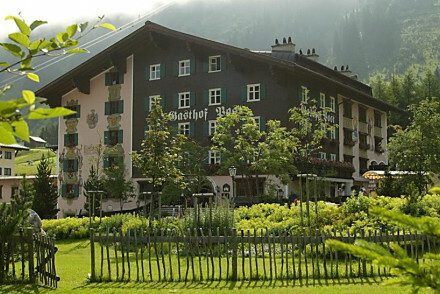 The Hotel Sandhof is a traditional family run chalet with rooms, suites and apartments, and cosy public areas. Add to this the location, close to the pistes in the centre of town, and you have one of the best properties in Lech for families. This is another appetite friendly hotel, with a good restaurant serving five course menus. The Hotel Stulzis is great for families on a budget. It's got three stars worth of exposed wood and whitewashed decor, and it's centrally located, just three minutes from the lifts and the centre of town. As well as a choice of rooms they have one apartment, which sleeps four. 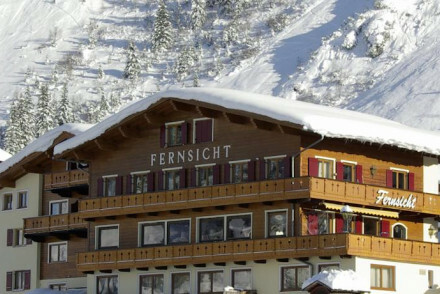 The Der Berghof - this family friendly chalet, with direct access to the slopes, is great for all ages. Spacious rooms are decorated in a country style with alpine accents and private balconies. A hearty, continental breakfast is served and dinner is available. There is a heated pool and spa to rest weary ski legs. With plenty of activities for families, Hotel Goldener Berg is a charming lodge boasting 360° mountain views. Simple, traditionally inspired rooms feature crisp white linen, parquet flooring and pine furniture. A choice of three restaurants and a wine bar for evening entertainment. Plenty of organised activities for children. A great choice for families. While it's got a reputation for attracting wealthy skiers, there are still affordable options in Lech. The bus between Lech and Zurs is free and there are also free buses to the St. Anton and Alpe Rauz areas. 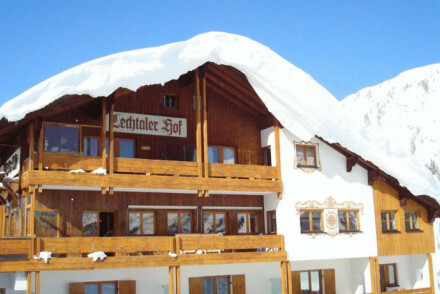 With rooms starting from £126 per night, the Hotel Staefeli is one of the best places to stay in Lech if you're watching your wallet. You're saving money on the location - which is just outside town - not the accommodation, which is four star. The decor is comfortable and elegant, and there's a wellness centre. There's also a kid's playroom and an apartment which sleeps up to seven. 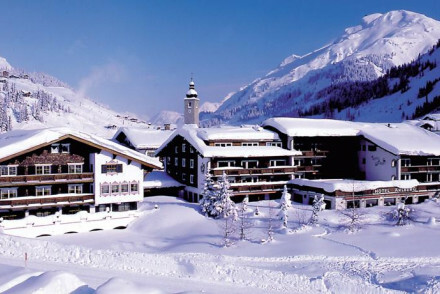 This was the favourite ski resort of Diana, Princess of Wales. And some of the seats in the cable car are heated. If you want to be pampered, Kristiania Lech, with its bath butlers, book butlers and ski valets is one of the top spots in Lech. You're right in the centre of town, and just five minutes from the slopes, yet the views from the terrace, are gorgeous and unsullied. Each of the 29 rooms has its own decor and personality, there's a fine dining restaurant specialising in Austrian food, and they're also prepared to welcome your pets. The Almhof Schneider has a charming blend of contemporary luxury and traditional alpine chic, making it ideal if you're looking for a super high-end skiing holiday. There's an excellent restaurant, wonderful oil paintings, a vast wine cellar and a very good spa. And room rates also include access to the spa and half board. 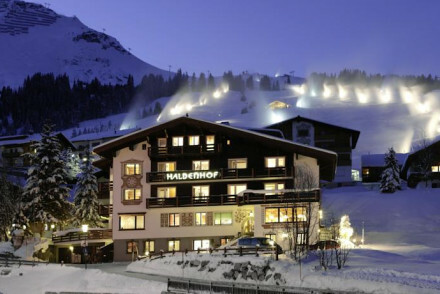 After a long day's sking, the Hotel Haldenhof is a luxury hotel with an enviable position just a few minutes walk from the lifts. Chic rooms feature open fireplaces, pine clad walls, crisp white linen and private terraces. A cosy restaurant serves hearty regional cuisine. The spa will ease away any post-activity aches and pains. Alpine perfection. For stunning views, Hotel Aurelio is a super-luxury chalet and spa located right on the slopes. Well proportioned contemporary rooms with floor to ceiling windows opening onto epic mountain views. The bathrooms are something of one's dreams. A world-class spa to ease weary limbs and exemplary Austrian cuisine. Because of the excellent snowfall - the average is around 8 metres - plus good grooming and snowmaking facilities, Lech's ski season often lasts into April. But out of season this area makes for a spectacular backdrop for hiking. If you're looking for somewhere perfect in every season, one of the best places to stay in Lech is its traditional treasure, the Gasthof Post. It's been owned by the same family for the past 75 years, so they can advise on all the most scenic hikes. The outdoor pool is heated, so you can use it all year round, and ithe hotel is filled with lovely wooden paneling, painted furniture and antiques. 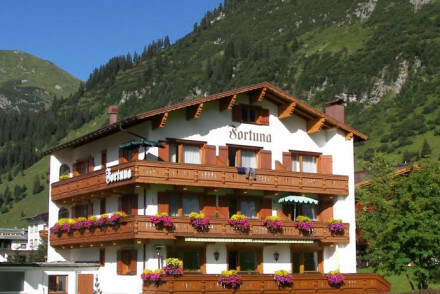 Pension Fortuna is a charming traditional property with gorgeous mountain views. Cosy wood panelled rooms with private balconies. Homely Austrian cuisine served in the restaurant. A sauna provides a space for some post-activity indulgence. Numerous activities to keep all entertained year-round. A lovely alpine spot. 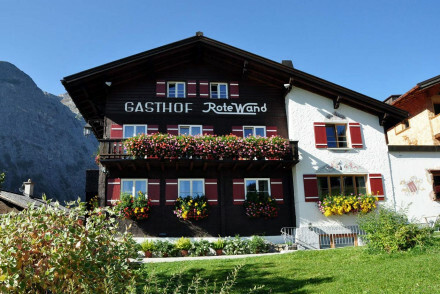 The Hotel & Gasthof Rotewand - located in the chocolate box hamlet of Zug just outside Lech - is an idyllic place to stay. Exteriors are traditional & rooms contemporary. Activities for all the family: skiing, cross country, sleigh rides and walking. Warm Austrian hospitality, good food, pool and spa. If you'd prefer your own space, don't hesitate to visit our online partner, Booking.com for a wide range of apartments and chalets situated throughout the village. Best time to visit - the Winter months even through to April can provide excellent snow conditions for skiing whilst the summer provides warmer temperatures for those looking to hike around the mountains. 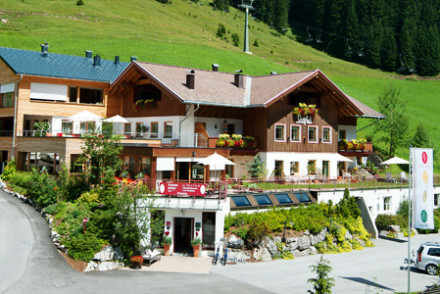 A charming 4 star hotel in the Warth-Schröcken Ski Area. The spacious Alpine rooms offer plush bedding and beautiful mountain views. With suites available and ski-to-door access it's a great choice for family ski trips. Make the most of the extensive spa facilities and the excellent restaurant. 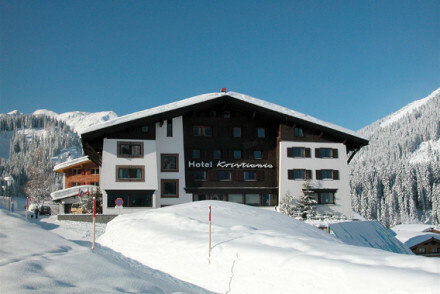 A great Four Star hotel just outside Lech. Contemporary elegant rooms, suites and apartments with all the modern gadgetry and private balconies. Excellent wellness centre and restaurant. A very comfortable choice for all skiers. An excellent three star option for families or groups of friends on more of a budget. 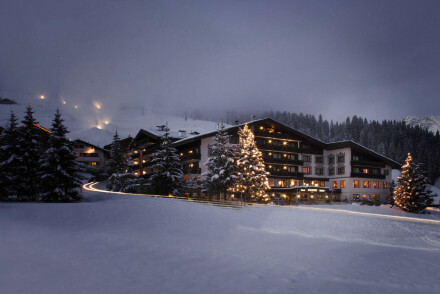 Traditional and charming with all the facilities necessary for a ski holiday. Wooden and white rooms and one apartment, lovely restaurant, and spa. Friendly and family-run. 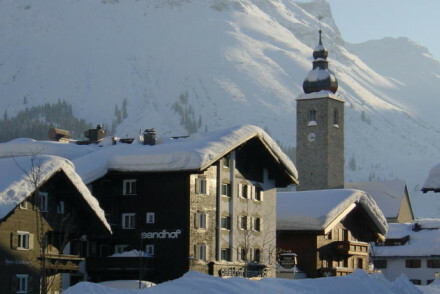 Skiing - 3 minutes from the lifts and village centre, right beside the Madloch ski slope. 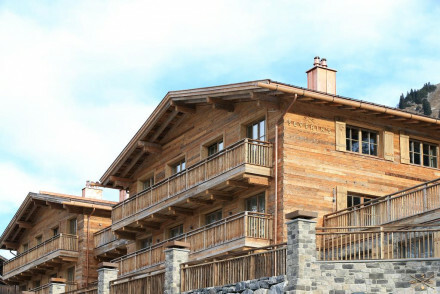 This family friendly chalet, with direct access to the slopes, is great for all ages. Spacious rooms are decorated in a country style with alpine accents and private balconies. A hearty, continental breakfast is served and dinner is available. There is a heated pool and spa to rest weary ski legs. Skiing - Located at the end of 'The White Ring' Lech has runs for all abilities. Great walks - In the summer months, as the snow melts away, Lech is a hiker's paradise. Kayaking - On lake Rufikopf makes for an energetic day out. Traditional family run luxury hotel with plenty of wooden panelling, hunting trophies and antiques. Brand new "Badehaus" spa with outdoor heated panoramic pool & wide range of treatments, plus Michelin starred dining in the Post Stuben. Traditional - Filled with wooden panelling, painted furniture and antiques. Great walks - Both winter and summer hiking from the door. Traditional family-run chalet with rooms, suites and apartments. Cosy living areas with fireplaces, excellent restaurant serving 5 course menus, and spa. Rooms all in wood with big comfy beds. A great choice for families, groups, or couples on a skiing trip. A traditional hotel with its own ice rink, excellent restaurant, and extensive spa. Bedrooms and apartments (sleep 4) all in wood with big comfy beds, private balconies and authentic elements. A great choice for families and groups. Skiing - Located right next to the ski school meeting point, cable car and ski lifts. A charming traditional lodge situated in a quiet spot on the edge of Lech. Comfortable contemporary rooms are simple in design and boast sink-in-to beds and large modern bathrooms. Classic Austrian dishes served in the cosy restaurant. A spoiling spa for après ski relaxation. Alpine perfection. Active Holiday - The Alps on your doorstep and an indulgent spa to ease away any aches and pains from the day's activities. Skiing - Situated just two minutes from the nearest lift. The resort offers pistes to suit all abilities. Close to the centre of Lech with ski-to-door access this luxury hotel provides spacious and comfortable accommodation with fireplaces and private balconies. Wooden decor combined with contemporary furnishings creates an air of style. There's an award winning restaurant and a luxurious spa on-site. Skiing - Ski in ski out - right next door to the Zugerberg chairlift. A charming lodge boasting 360° mountain views. Simple, traditionally inspired rooms feature crisp white linen, parquet flooring and pine furniture. A choice of three restaurants and a wine bar for evening entertainment. Plenty of organised activities for children. A great choice for families. Active Holiday - With the surrounding mountain views tempting you outdoors this is the ideal spot to get out into the great outdoors. Families - A team of staff to help babysit and entertain children so both you and your kids will have a great time. Skiing - Direct access to the Arlberg Ski Area. Fishing - Gorgeous tranquil spots for fly fishing during the summer. Understated luxury in a "Heidi meets Calvin Klein" sort of way. Great location in the heart of Lech, just minutes from the slopes. Extra touches include ski valets and bath butlers. Excellent Austrian cuisine accompanied by a vast wine cellar. Five Star chalet luxury in central Lech. 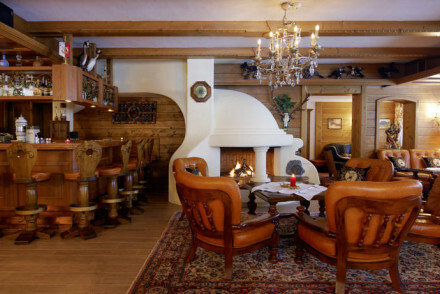 Seamless tradition with authentic Alpine motifs - antlers, bear skins, fireplaces, wooden beamed ceilings. Contemporary bedrooms and suites with private balconies, fur throws, leather armchairs and paintings. Excellent restaurant and spa. Mountain luxury. A luxury chalet in central Lech at the foot of the slopes. Designer chic bedrooms and suites retain traditional elements - antler lamps, faux fireplaces, oil paintings. Fantastic restaurant and wine cellar, excellent spa, and access to all the best sports facilities. A high-end skiing holiday. Be thoroughly spoiled at a 5* hotel where Alpine chalet cosiness blends seamlessly with upscale Italian designer furnishings and cutting-edge technology. Tranquil location just five minutes from world-class ski slopes. Stylish spa, magnificent mountain views, creative cuisine and superb wines. A super-luxury chalet and spa located right on the slopes. Well proportioned contemporary rooms with floor to ceiling windows opening onto epic mountain views. The bathrooms are something of ones dreams. A world-class spa to ease all those aches and pains and exemplary Austrian cuisine. Spa breaks - A stunning spa featuring saunas, salt steam rooms, herbal baths, cooling down experiences, a snow atrium and a vitality bar. Active Holiday - With the Alps on your doorstep there's a veritable plethora of activities to partake in.